So just when we had pronounced the program healthy, Jamal Branch, an important transfer contributor from Texas, who makes shots and rarely turns it over, goes down with a knee injury. We aren’t saying that is the reason for dropping 4 out of 5, with the 1 win a lackluster job against USF, but St. John’s had played its best ball this year in games where Branch heavily contributed. We aren’t gonna say that Lavin’s absence from the team had anything to do with it either, though it is true that Coach Lavin missed important road games at Syracuse and Louisville, which the team lost. Truth be told, we pencilled those games in as losses long ago, and also, we thought Rico Hines did a good job filling in. Those teams are just too good for us right now. They know exactly how they want to play, they turn run outs and turnovers into dunks and layups with alacrity, and their home court edges are just too tough. Both teams, no insult meant, just outclass St. John’s when it comes to coaching, leadership, recruiting, and shooting the basketball at this stage of our development under Lavin’s tenure. In doing the calculus for the program to reach the dance, we thought yesterday’s game vs. Pitt at MSG was a must win, really, even if they had pulled off a miracle split with Louisville and Syracuse on the road. St. John’s has to establish and protect home court as a program, especially when so many Big East kids come through as visitors, looking to put up big games at the Mecca. Yesterday, St. John’s failed miserably, while only managing 20 points total in the 2nd half, and while converting on zero of 8 from downtown in that half of basketball. Once again, we see the distinct advantage here in recruiting local kids, something that does not appear to be the top priority for this program, with all of its top scorers brought in from out of state. Villanova at Villanova was another terrible loss, though on the road, especially when one considers that the Wildcats now sit above us within the conference. Pitt coach Jamie Dixon, an excellent coach, said after the game that to win a conference game by 16 on the road was a telling indicator as to the impressive nature of the win. But then, what of the loss for St. John’s? We thought that if St. John’s could score 65 yesterday, they’d win. And we’re still waiting. While St. John’s played better than expected against Louisville and Syracuse, it is deadly obvious that the Johnnies can not score. Recently D’Angelo Harrison displayed a swollen finger, as an explanation for recent poor offensive performances, and it is true that St. John’s has no real shot in games like yesterday’s in which he does not break double digits. But we can not blame Harrison, who always gives a giant effort. The fact is this: the Red Storm does not make 3’s, they do not score in the paint, and they get woefully little done in transition despite usually playing excellent defense. And there’s also the ugly business of their free throw shooting. It must sound like we’re trashing them, which we don’t mean to do. Are we disappointed with the loss? Of course. But moreso, these are the warts that plague the program, honestly put. Now that the season has been essentially reduced to a formality, we may as well provide an early postmortem. We can like Lavin while disagreeing with his recruiting philosophy and we can respect the mitigating factors that surround his time away from the squad while stating that he does miss more games, for whatever reasons, than any other coach in the country. Also, we’re not about to go crazy either way for the plight of JC transfer Orlando Sanchez, despite the fact that he is a beast like four who would be guaranteed for a few monster blocks and dunks each game, among other things, who has already reached manhood at the age of 24. For a kid over 21, the NCAA is clear on the rule that having played for his country’s national team in 2010, regardless of the amount of minutes or games played, his eligibility is exhausted. That he has a good chance of winning his appeal, or any of the other pro St. John’s articles in this regard, are irrelevant. In light of this fact, he obviously never should have been recruited. Should he be granted that year of eligibility, St. John’s, with a full compliment of returning players, and we would count heavily Jakarr Sampson, as well as Felix Balamou, Max Hooper, and Christian Jones (highly touted recruits who are yet to break into the rotation) St. John’s would appear extremely formidable on paper for next season. If Sanchez is ineligible, we expect the program to successfully re-distribute that scholarship to a guy who can contribute in a real way who plays the four like Sanchez does. Lavin has shown an uncanny ability to pull recruiting classes together last minute, and learning Sanchez’s fate this week would give him plenty of time. But Lavin has also showed us last year how a class can fall apart late as well, which should not be the concern for next year, especially if there are no defections, since St. John’s is only looking at 2 new recruits, if Sanchez is in fact ineligible, which we’d hate to speculate on, as we hate to absolve St. John’s right now for recruiting another ineligible player. But we can’t say we were happy to read earlier that the one 4 year scholarship we do have available is likely to go to another out of state product. St. John’s will be better suited to Lavin’s full court style next year, when they won’t have to rely as much on smaller players who don’t get to the rim or make jump shots, or when they aren’t stuck over playing guys like Bourgault, who we feel is a very borderline player at a big time D1 school. If St. John’s does not have to re-recruit the Sanchez spot and if Sampson stays put, we think the program takes a big step forward next year, especially as Obepka, a possibly dominant big, further develops. We can’t get too crazy about if situations though, as anything is likely with Sampson, and if we had gotten sky high on Sanchez it would have been unwise, since the year has gone by and he hasn’t and may never suit up at all. We are also unable to go crazy about the possible signing of Rysheed Jordan, who was called the best prospect in Phily today in the Daily News by “Hoops” Weiss. We remember going crazy for Nurideen Lindsay last year and how that played out–a disappointment that Lavin turned into Jamal Branch. Still, we are confident that the program will field an able bodied team despite possible defections, and while we are upset over the dismal showing yesterday, we still have a very positive outlook concerning 2013-2014. But we must refuse to get caught up in headlines as to what may or may not be. Whatever fortunes are to come with this program reside squarely with Steve Lavin, and Lavin has proved adaptable, so if there are defections or ineligibilities to come, we’re confident that Lavin will turn them into contributors, much like the way he turned Lindsey into Branch. Focused freshman Jakarr Sampson (above). So Georgetown was looking tremendous at 10-0, and then they lose a hearbreaker by a point at Marquette, and then come home and get blown out by 28 by Pitt. One minute they were looking like a potential final four team, and then scant days later, they were in a daze. Really, it was no more than a case of ‘welcome to the Big East schedule’, as they are really a fine team, and are as likely as anyone to get on a run to the final four. But see then, they rolled into Madison Square Garden for an 11 AM tilt with the Johnnies, and they outclassed St. John’s at that time, and again, we were not surprised that St. John’s were road kill. Also, they always seem to struggle in those off time starts, and everyone is so excited to play in the Garden, and the whole thing was a recipe for disaster. Today they face up again at 4 PM on NBC, and since these teams would likely be the foundation of a new Catholic, no football conference next year, and since they represent very storied basketball cultures, perennial programs and such, from big markets to boot, it is a very, very big game. We always like the team a little bit more that got blown out last, even if they are on the road. Well coached college teams have pride, like these teams. As Georgetown illustrated in that first matchup. And St. John’s is certainly a different club than they were 3 weeks ago, on a 5 game win streak with a fully integrated Jamal Branch, who, if anyone’s noticed, has been an important leader during that stretch. And he’s a national guy. As his back court mate, the pulse of the team, who like Branch is from Texas, and who helped recruit the close chum to Jamaica. Hopefully today, we will see a national guy like Jakarr Sampson throw down more major dunks today, and more full court blocks, running guys down like a healthy Darelle Revis. And Dom Pointer, another national guy, maybe makes a big 3 in a 3rd straight game, and hopefully a few more put back slams. These players all should be sufficiently motivated to play in games that will be televised in the families’ living rooms, and 3 of the 4, excluding Harrison, have probably never had that opportunity while playing so well. We expect a game today. Budding star Jakarr Sampson and a robust looking Steve Lavin (above). If you have been watching St. John’s of late, you’ve no doubt seen both stretches of rapture and ineptitude. In their wins, they seem to run out to big leads, only to watch them dissolve and then hold on for dear life. In the losses, save for a blowout at the hands of Georgetown (which came as no surprise) they seem to get those leads also. And then they meekly fritter them away, plagued by stretches, minutes on end, whole intervals between commercial breaks where the squad can’t score, or even pull one decent look. But the losses have come rather infrequently of late, as St. John’s has now battled to 13-7, staging 4 largely impressive wins in a row, and looks to make it 14-7 tonight with a very big home game against DePaul, one of those teams who St. John’s looked all world against in their first meeting for part of the 2nd half, and who then had to scramble late against to come out with the win. The offense might be described as meek, especially during peak inefficiency, which has basically cost them almost all 7 of their losses this year. But do not make the mistake of calling the group meek. 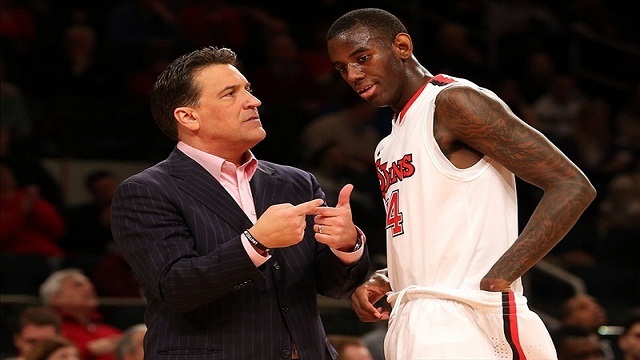 The Johnnies are obviously blessed with tremendous fortitude, an attitude which starts with Coach Lavin and the rest of the staff, and is exemplified by some extremely gritty players on the court. Obviously D’Angelo Harrison is imminently suited for Big East basketball, and as the team leader, has truly led. As disappointed as fans had to be with their loss to Rutgers at MSG, a game in which Harrison missed a bevy of critical free throws in the games final stages, one had to be pleased with Harrison’s way of owning up to the loss. One thing we can not stand is when players take losses too well, and don’t seem upset after losses, especially when they have made mistakes that play a large role in the outcome. So when Harrison said that night, when he returned to campus, he was going right to the gym to shoot free throws, well, that’s all you can ask of a kid in terms of attitude. Obviously Harrison, at 20th in the nation in scoring with 19.8 PPG, is not afraid to be the catalyst on offense, and while his shot selection is often questionable, we are not about to question his willingness or the results. Harrison is equally valuable for his intangible qualities. Against Notre Dame at MSG, then 14-2, Harrison stuffed 6’10 Tom Knight, giving away some 8 inches to come up with that block that helped key what was probably St. John’s best win all year. Not just because of the opponent but because of how they played. 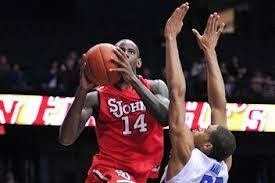 In that game, St. John’s won both halves, a rare feat for this squad in Big East play. And still the contest came down to another monstrous block in the waning seconds, as Chris Obepka, who we’re sky high on, rejected Pat Connaughton, sending the ball off Connaughton’s head and out of bounds, so that St. John’s also gained possession. Obepka is a special player. As a freshman, he is second in the nation in blocks at 4.6 a game, is also collecting 5.9 RPG, and is already by far the most dominant interior defender in school history. What a tremendous coup by this staff it was in securing Obepka for St. John’s. Frankly, we see Obepka as a component in a near future final 4 team, and we already see him improving his court positioning, expanding his offense, and taking better fouls. A kid like Obepka, who has at times literally put a lid on the hoop for long stretches of clock, makes it possible for St. John’s to come up empty on offense itself for long runs and still be in a position to get W’s. Now we’d like to temper our criticisms of Lavin’s recruitment of transfer Jamal Branch, who is a talent who has fit in and made plays. After the bust that was Nurideen Lindsay, we are down on shoot first point guards, transfer point guards, and to a degree, national as opposed to local products. 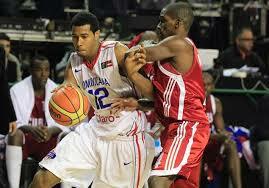 But Branch’s 9 PPG and 2.4 APG have generated about 14 PPG for a team that struggled to break 60 before he arrived. Most impressive about Branch is he knows when to shoot. How often do you see a guard shoot 50% from the field? Branch is shooting .556, and against DePaul in Rosemont, Branch shot 9-14 while attempting zero 3’s. It’s been contagious. The Johnnies are a poor team from beyond the arc, and so they don’t play to that weakness, attempting precious few 3’s relative to most programs. Still, they’ve made a few big bombs. We were very happy to see Dom Pointer drill a 3 from the top of the circle late against Seton Hall, a just reward for Pointer, a real heart and soul player, now fully adapted to the Big East big boy style. Jakarr Sampson, the much touted freshman wing, has also adapted very well to conference play. Sampson has emerged as a consistent scorer and rebounder (14.3/6.5) and on offense, is the team’s best player on the block, and probably filling the lane in transition, where he has had some highlight reel dunks. Also, we are now very happy with his haircut. 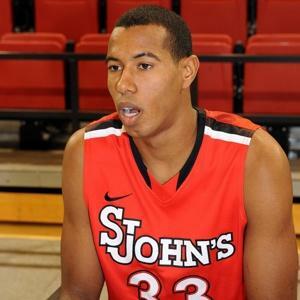 With Harrison and Sampson forming a big 2 offensively, and with Pointer and Obepka playing key roles defensively while chipping in with opportunistic play on offense, the Johnnies really only need a combination of 2 out 3 remaining regulars to be going offensively, and it seems to us that Phil Greene, Amir Garrett, and Branch are very capable when viewed in that light. They seem to become more capable every day. With Sampson, like with Mo Harkless last year, we may have a bit of a catch-22. We’d love to qualify for the dance, obviously, and will need Sampson to play to his capability in order to. All along we felt Sampson was a long shot to leave for the NBA after this season, but now, we’re not so sure, especially if St. John’s does what it needs to do down the stretch, which will be to win the ones they should (Providence, DePaul, USF) and steal a couple they shouldn’t (Louisville, Georgetown, Syracuse, Pitt, Notre Dame, UConn(?)). Should St. John’s muster some magic here in the regular season’s final 9 contests, we feel the likelihood of Sampson leaving increases dramatically. Frankly, a kid of his age, hops, and upside would not be a bad gamble midway through the first round of the draft this year, and a playoff team with the luxury of grooming a player a little would make a perfect fit for him. In fact, we were all set to include a Youtube clip of Sampson on a break away dunk, but have thought better of it, as this kid does not need any further promotion. But really, we are not worried about wins we should have had, defections, or the tournament too much right now. We are enjoying this season for what it is–a tracking of the growth of a team set to morph into a dangerous contender, which is already starting show some if its true colors. We feel this club could survive without Sampson next year, even without The Big East as a conference, as we are fairly certain that St. John’s will land in a strong, probably basketball only off shoot of the Big East, with Catholic schools like Georgetown, St. John’s, and Villanova as anchors. Of course we are also thrilled to have back strong the key cog, which is a healthy Steve Lavin. It was extremely disheartening to hear Lavin tell Mike Francesa in November that he was still only about “80%” back to normal, and we were obviously very concerned for him and sympathetic, on a personal level. We would not be surprised if Coach is still not at 100%, but by our count, he’s doing one of his best coaching jobs of his career with this group, which has, astoundingly, gotten absolutely zero contributions from any upper classmen. With the program and Lavin both on solid footing, and with the Johnnies poised next year for their best year in perhaps 2 decades, we hope that Monasch and Harrington have sense enough to lock up Lavin with a state of the art, wrap around/flex contract that we now see given to elite coaches, which essentially automatically extend at the end of each season without any reopeners.